Sally Petru draws upon her background in horticulture, design and watercolor to create contemporary botanical illustrations. Her artwork has been exhibited in several juried group shows. These include Filoli’s Annual Botanical Art Exhibit, “Exotica: Plant Portraits from Around the World” in the Hearst Gallery at St. Mary’s College, “The Art of Saving Oaks” in Sausalito, and two shows at the Montclair Gallery. 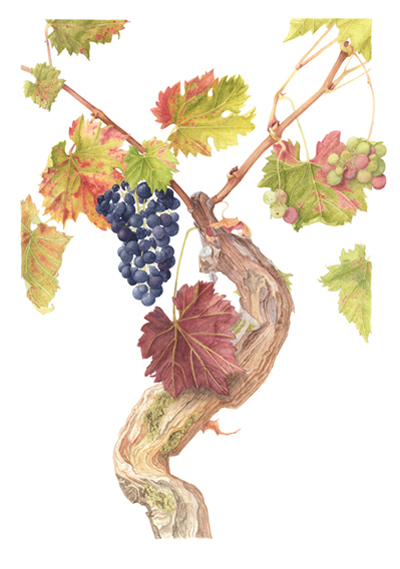 She is currently participating in the Botanical Art Certificate Program at Filoli in Woodside. 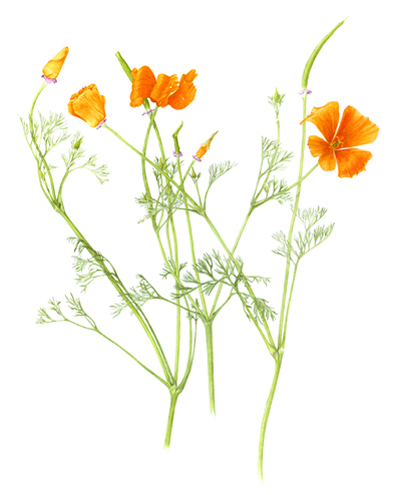 She is an active member of the American Society of Botanical Artists, a worldwide organization, and participates in the East Bay Open Studios each year as a member of the Oakland Pro Arts program. In addition to commissions, Sally sells limited edition giclées and note cards in stores around the Bay Area. More information about the artist and her work may be found on her website.